Foam hingeware offers excellent insulation properties to keep food warm or cold on-the-go. 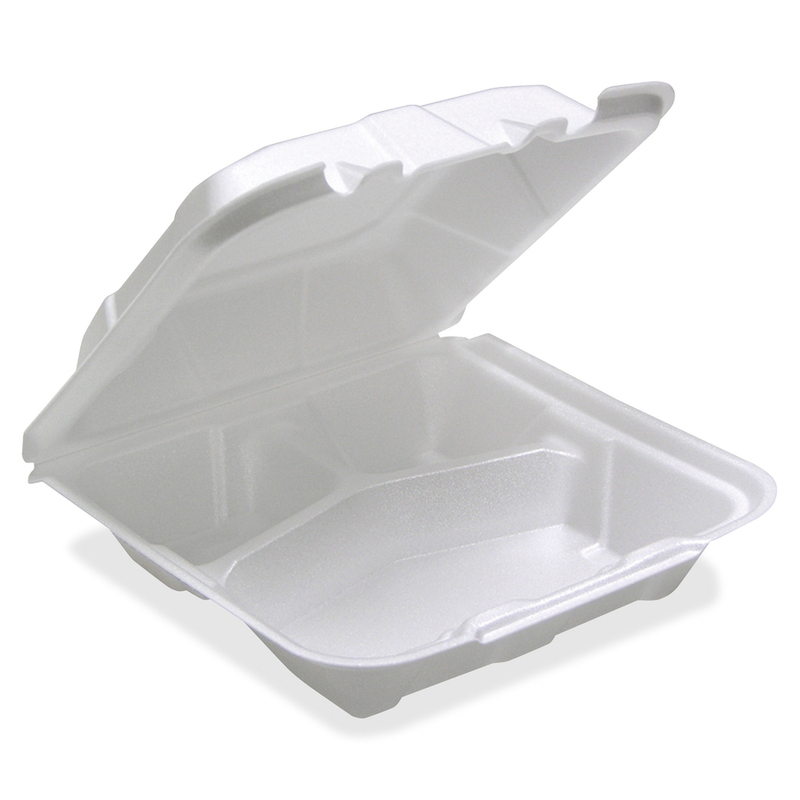 Durable construction of the medium-sized container is great for multi-food applications. Three compartments help keep food organized, secure and well-presented. Convenient hinged lid provides more secure closure with dual tabs. 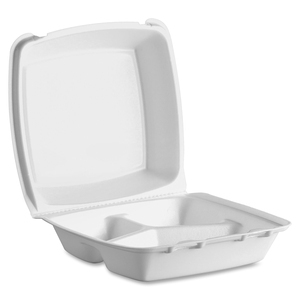 Durable construction of the medium-sized container is great for multi-food applications.